January is officially over and I am so happy with my fitness rotation. I like to think about working out as a lifestyle — a healthy habit, if you will. When I stay active and release those endorphins, I’m generally a more focused and optimistic person. There was one week last month I totally slacked off, but I blame my birthday and Lunar New Year for that. Today, I wanted to finally share my favorite gym studios and workouts in my current rotation. I’ve been a Classpass member for exactly a year now. Although I am quite sad over the elimination of unlimited classes, I still have workout ADD and this has really fit my needs for now. I love a good mix of cardio, sculpting and strength work to keep things interesting and my muscles on it’s toes. Mile High Run Club – I never knew I liked running until I started to take classes here. The first class (last year) was intimidating because I couldn’t even run down the block without feeling winded, but they made it so easy to learn with different levels and speeds. Everyone works at their own pace, which I love. It’s a luxe treadmills in a club-like setting (dark, neon and flashing lights) with amazing music. Running has never been so fun. I really like the High 45 class (45 min run, no weights), but I started on Dash 28 (28 min run with kettle bell training) before getting comfortable in the middle level. There’s also a Distance class great for marathon runners. Thanks to them, I ran my first race! Now I need to work on improving my pace for the next one. Peloton – I know running is not everyone’s cup of tea and they get their cardio on with spin. I happen to love both! Peloton brings luxury to spin. They have the best bikes I’ve ever sat on and the shower/locker room is on Equinox levels. Amazing Malin + Goetz amenities, hot tools, and even disposable slippers. I love luxuriating after a ride. I also really love the instructors! Robin is my fave. Also, I try to get into a live DJ ride because, duh more fun! You will start to notice that I love places when fitness is less of a chore and more of a fun time. Y7 Studio – I love a good stretch after all this cardio and weight work. With a million yoga studios in NYC, Y7 has me coming back for a good sweat. It’s hip hop yoga in the dark with candles, scented oils and it’s heated. I leave every time feeling so refreshed. I always take the Slow Burn class because I do enough at my other workouts. You hold the poses longer and there’s no freestyle part. My attention span probably can’t handle a freestyle, lol. Y7 is all vibes and not really a traditional (peaceful) studio. I like it this way, though. But, if you love the same workout with a more traditional ambiance, I like Yoga Vida‘s candlelit heated flow classes. 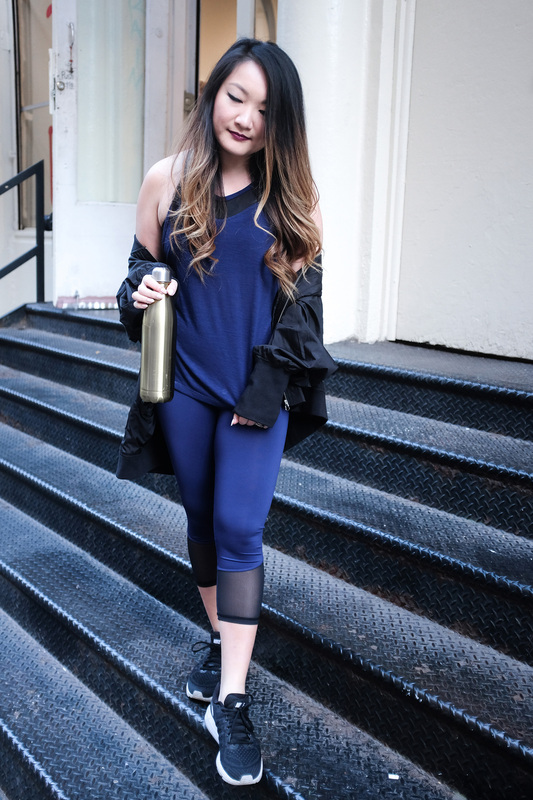 Barry’s Bootcamp – Love how I really have to be on the top of my game for this place. It does a great job of pushing me to my limits. I mean a 12.0 incline on a run?! Quiet sobs, but I gotta work on those glutes. Barry’s dedicate a different day to a different body area with full-body Fridays. It’s a circuit back-and-forth between the treadmill and weight work. I do my most heavy weights here (shudder). Not for the feint of heart, but once you finish one of these classes, you feel amazingly proud. Like really. No joke. Work Train Fight – Boxing days are so amazing. I love just letting it all go. Plus, the instructors I’ve had are so friendly. There’s a ring in this place and the environment is just inspiring. Everyone is focused and beating ish up. I take the Box Group class (more boxing, less circuit) and I love the mix of bag work, different circuits and pad work with the instructor. They do offer personal sessions, more cardio based boxing and straight up circuit training. More importantly, they keep the place clean. It has a underground feel but still feel modern. I can’t tell you the trauma of trying a boxing gym that was just smelly and lacked air. Oh dear… Call me a little snobby, but I need fresh air and some basic hygiene, especially if you rent gloves. 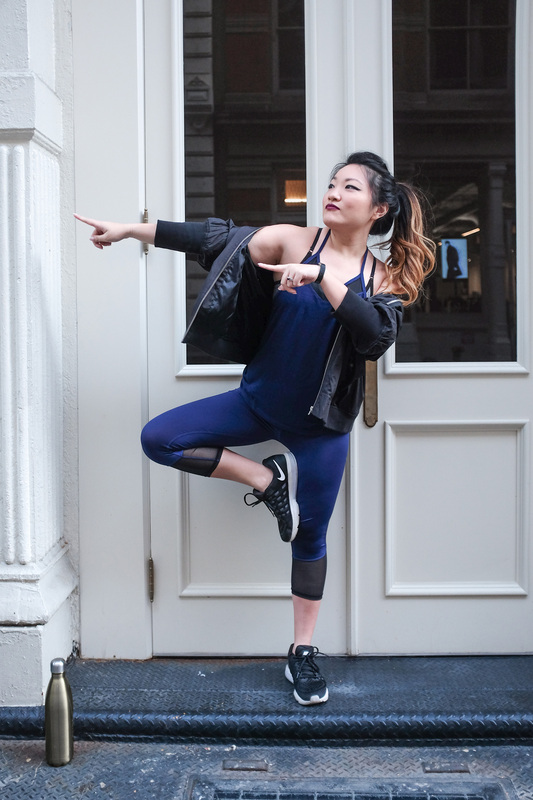 Pop Physique – Now I’ve tried several barre studios and always come back to Pop because I love the carefree vibe. It’s pink and cute, and there’s a focus on the booty. As someone who work outs to stay active and not necessarily get too serious about the science, I prefer studios that have a fun vibe rather than one that’s dry with way too serious instructors. Life is too short to not have fun. I like doing barre to work on my muscle tone. I don’t love heavy weight work and this is a great way to sculpt. Harder than it looks! All those tiny isometric movements. I leave with quaking all over, especially those legs. A few classes I would like to mention as well. These are studios that really piqued my interest but don’t make it in my main rotation. I love the idea behind SurfSET — working out on a wobbly surfboard. Thanks to these guys, I’ve found my balance and haven’t fallen off when I go stand-up paddleboarding. WundaBar Pilates is really fun on active recovery days. The workout is reformer pilates meets barre. They have a special reformer that includes a “barre”. So good. I also enjoy the Strength classes at Uplift Studios — it’s all-women (so empowering) with Happy Hour classes that involves a glass of wine afterwards. ANYA is so fun for antigravity yoga on silks — I like the restorative class. Speaking of restorative, when I need to find inner peace, I love Yoga Shanti‘s Urban Zen class. It’s so relaxing and gets me ready for bed. Places on my list to try are Shadowbox, Soulcycle, and SLT (I’ve done a similar workout at Flex Studios). But yes, those are my favorites! I’m still open to trying new places, but I’m so glad to have found workouts I love doing. I used to be a member of a regular gym and the monotony bored me to tears. I will end it with a vlog from a fun event and work out at Pop Physique.